Herma’s Fine Foods & Gifts » Pizza Night with Friends – How to beat the winter blues! Creating in the kitchen with friends is one way to have winter-time fun this January. 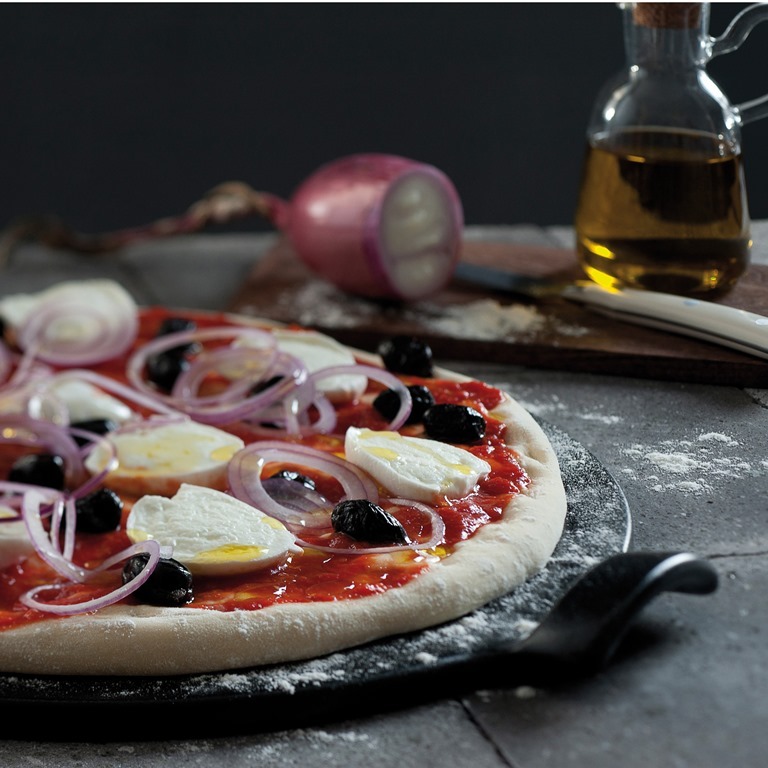 At Herma’s, we have wonderful food items that will make creating your own customized pizza unique and delicious. 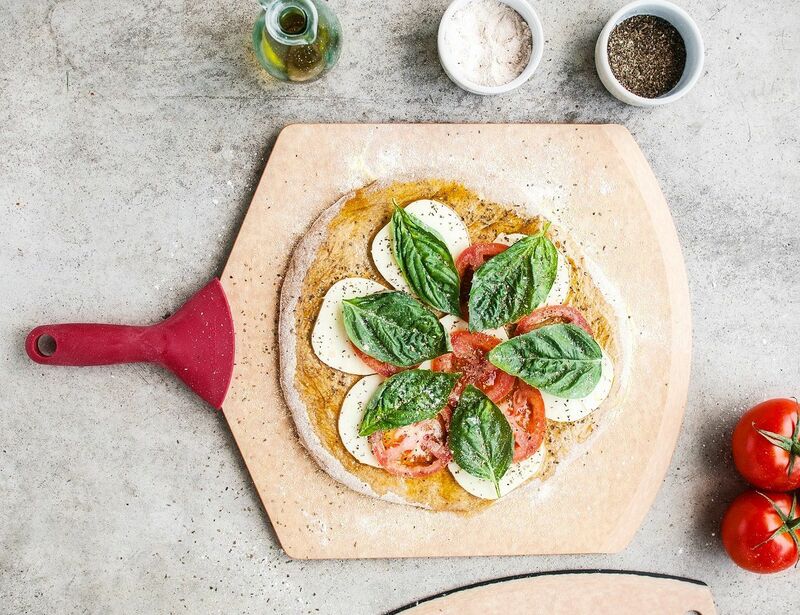 Emile Henry’s Pizza Stone is designed specifically to produce crispy, well-baked crusts, like those from a pizza oven. Epicurean’s pizza spatula is also great for easy retrieval of pizza from oven. Preheat oven to highest possible heat. Stretch dough to diameter of about 12″ and brush evenly with light coat of Garlic Infused Olive Oil. Sprinkle Mozzarella so is evenly distributed. Bake pizza on lowest rack of oven. Use baking sheet or, rather, pre-heated Emile Henry Pizza Stone until crust is crisp and cheese is melted. Remove from oven and finish with light drizzle of Truffle Oil and small amount of Cracked Pepper. 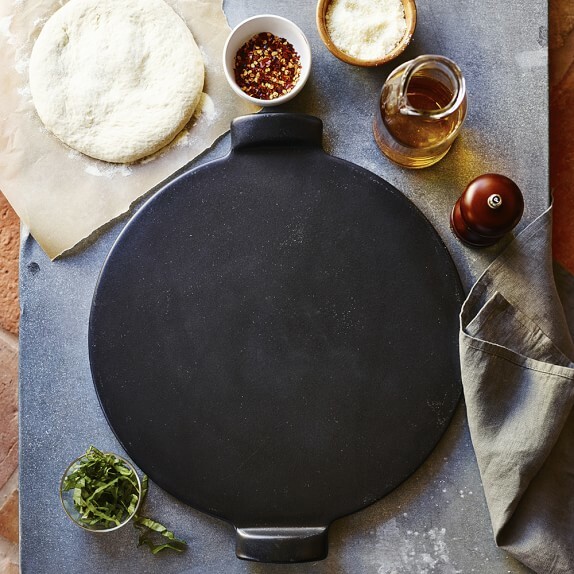 Emile Henry’s Pizza Stone is designed specifically to produce crispy, well-baked crusts, like those from a pizza oven. Epicurean’s pizza spatula is also great for easy retrieval of pizza from oven.